I was making chicken roulades stuffed with smoked pork loin and Gouda this week and was concerned with them keeping their shape. 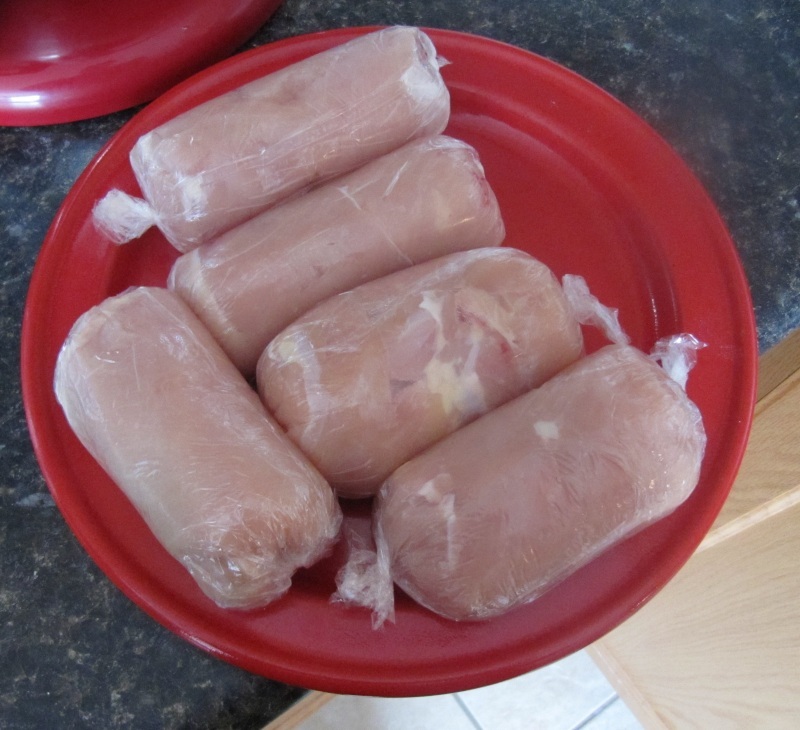 I pounded out the chicken breasts between pieces of plastic wrap until they were quite thin, then put the ham and cheese inside and rolled them. I then wrapped each roulade in the same plastic wrap and made a tight bundle by twisting the ends, then chilled in the refrigerator for a few hours. After unwrapping them and breading in flour, egg and panko bread crumbs they cooked in the oven for an hour. This shaping technique worked perfectly.